(a) Clause14.1. PBL has failed to submit a development plan or to carry out any development works at the Port as required by this Clause. This breach alone is sufficient under Clause 16 to revoke the Lease. (b) Clause 4.1. PBL has failed to operate and manage the Port or to carry out the necessary dredging of the approach channel and the dock basin, as required under this Clause. (c) Clause 10. PBL has failed to pay the lease rental to the Government of Belize in accordance with this Clause. On 19th March 2008 the Government had served notice to PBL to revoke the lease, however, PBL had applied to the Supreme Court and obtained an injunction restraining the Minister from cancelling the lease. 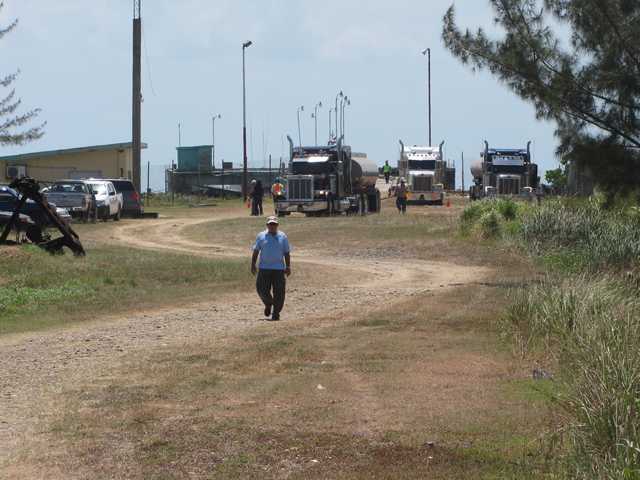 This injunction was discharged by the Supreme Court on July 20, 2012 making way for the Minister to now revoke the lease and take possession of the Commerce Bight Port. This has become necessary due to the fact that there is an urgent need for the Port to be operable in order to meet the commercial needs of the country. In this regard, the Government will be aggressively seeking international funding to upgrade the Commerce Bight Port to international standards.